Where is the price of CO2 heading? Most industrial companies fear rising prices of energy and Carbon. Prices of EUA (European Emission Allowances) have doubled over the course of just one year. What are the risks for industrial companies and how can, or should, you cover these in your energy purchasing strategy? 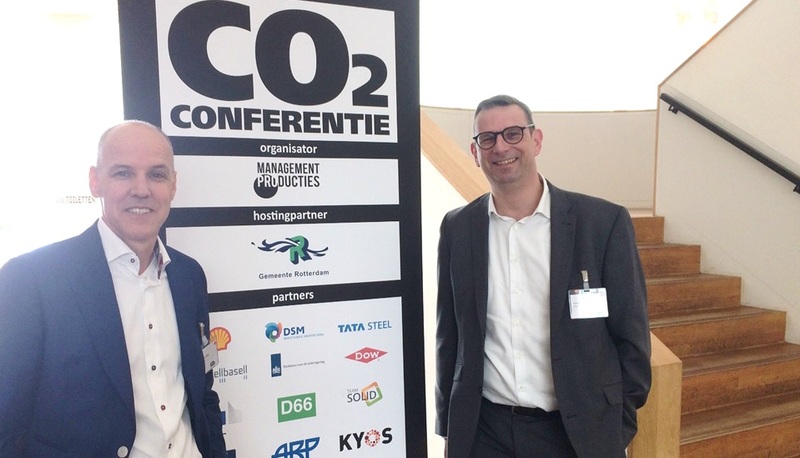 Richard Cornielje (KYOS) and Tom Schurmans (Cargill) headed a workshop about this topic at the CO2 Conference on 25th of March 2019 at LantarenVenster in Rotterdam. The workshop of KYOS and Cargill was the kick off of the CO2 Conference. It is a yearly event, organized by Management Producties. Next to the workshop of KYOS and Cargill, there were interesting sessions about the energy transition, the debate between industry and regulators. Also the use of iron power as a new source of green energy was presented as a replacement of coal fired power plants. Founded in 1865 by William Wallace Cargill in Minnesota, USA who owned a grain warehouse. More than 150 year later, Cargill still has its head quarters there but now employs over 155,000 employees in 70 countries offering a wide array of goods and services. The company’s activities include importing, trading and processing grains and oilseeds; manufacturing animal food, and creating ingredients such as sugar and cocoa for the food and beverage industry. Financial risk management of commodity exposures is of vital importance at this still family-owned business. Tom Schurmans provided insight into some of the daily activities at Cargill, particularly on energy costs and risks. Cargill uses the KYOS’ Commodity Portfolio & Risk Management System. Together with Richard Cornielje he showed how Cargill employs the KYOS system in practice to manage exposures, physical flows, financial derivatives and residual risks. In addition, Richard gave practical examples of how a commodity portfolio and risk management system is essential for clarifying risks and calculating potential distribution of cash-flows. For example, what is the impact of changing commodity prices – including carbon emissions on your overall costs? Moreover, he showed how having a good understanding of your cash-flow risks is crucial for any business. With these insights, Procurement and Treasury are then able to select and execute the optimal hedging strategy.